Maree’s seaside location in the heart of historic St Andrews By the Sea is fitting, since our name is the French word for tide. Our women’s apparel and accessories boutique is inspired by the idea of the ocean: timeless but ever-changing, iconic but never the same. 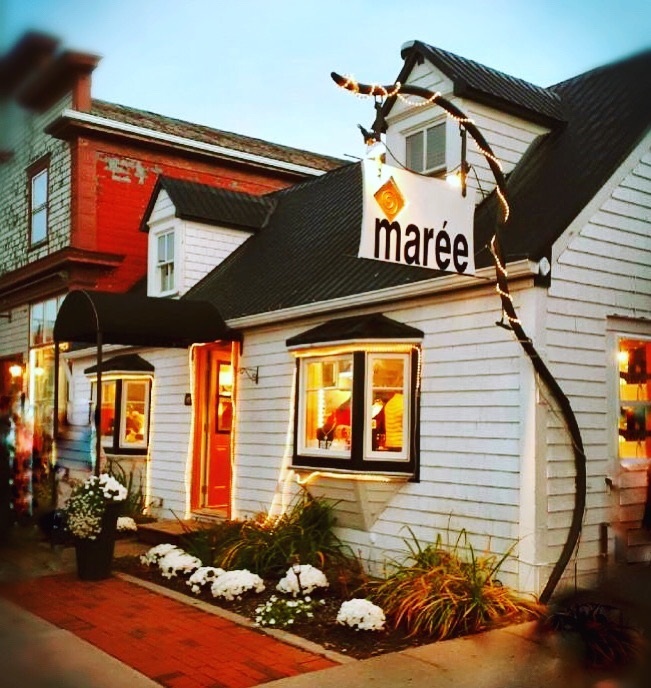 Maree is tailor-made for women who strive to curate their own signature style. We source iconic brands and cutting-edge labels from around the globe and in Canada and celebrate the art of mixing high and low fashion. After all, it’s not what you wear but how you wear it. Both our two-floor flagship boutique and online store offer a wide range of unique statement pieces and affordable fashion accessories to pair with timeless classics like the little black dress.